Gunpowder, Granite and Grit will be available in 2020. 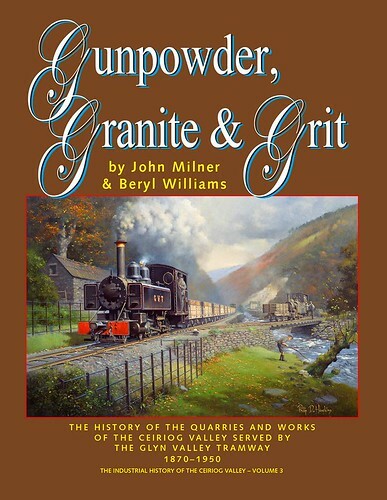 A history of the quarries and works served by the Glyn Valley Tramway. One day we may be able to ride along the tracks of the Glyn Valley Tramway again. 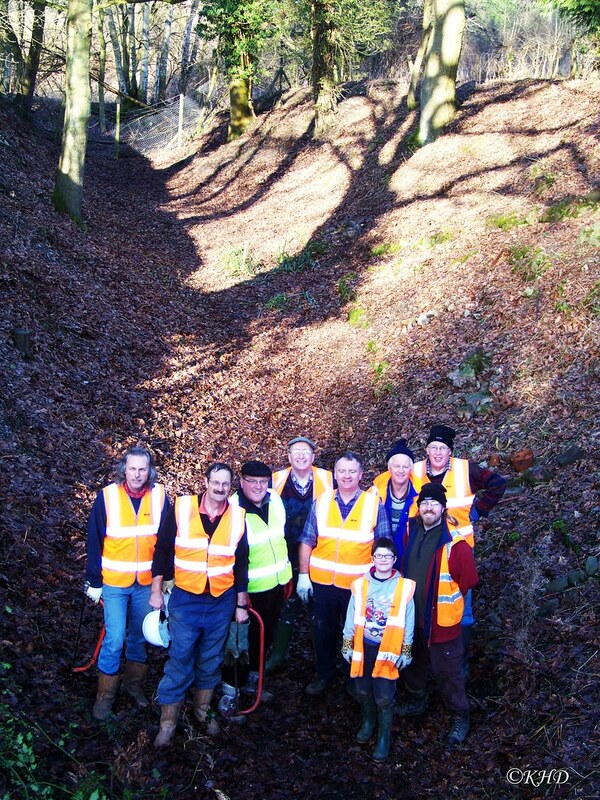 There is a registered charity with the aim of reopening part of the line as a tourist attraction between Chirk and Pontfaen, the Glyn Valley Tramway Trust. For more information on these plans to rebuild the Glyn Valley Tramway, and the progress made so far, please visit The Glyn Valley Tramway Trust website. To complete the look of the Glyn Valley Tramway, PECO produce a range of ready-to-run GVT open and closed 4-wheel carriages. These are available through your local model shop. To further complete the look of the Glyn Valley Tramway, Parkside Dundas produce a range of plastic kits of original GVT wagons. The etch brass nameplates used on the model are from Narrow Planet, who produce custom nameplates to suit all scales and prototypes. The whitemetal crew figures are from PD Marsh Models, who produce a large range of model figures and dioramas in OO and N scale. The couplings used on the model are from PECO, manufacturer of track, rolling stock kits and accessories for all the popular scales.